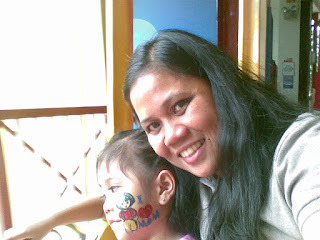 I was one of the supermom bloggers who was invited to the Alagang Bisolvon SuperMOMs Event at the Blue Whale Grill, Fun Ranch last February 20, 2010. It was a a day of fun and bonding with our kids. We learned a lot of supermom tips from Ms. Regine Tolentino, Bisolvon's celebrity endorser. She also invited us to join the Bisolvon’s Alagang SuperMOMents online photo contest. In this digital age, it’s now easier for moms to share their kids’ photos via social networking sites and blog sites. And what mother would not want to boast about the priceless moments she spends with her children? From an exciting and fun-filled day by the park, to an enjoyable swimming outing, moms are usually the first to show the world just how joyful these precious moments spent with the family are. Bisolvon, moms’ trusted partner for over 40 years in battling against the family’s cough, understands just how proud moms are to share these photos. And now, showing the world these one-of-a-kind moments caught on camera has been made even more rewarding, as moms will now get a chance to win as much as P50,000 plus TV and magazine appearance for them and their kids with Bisolvon’s Alagang SuperMOMents online photo contest. To join the contest, simply buy Bisolvon syrup and log on to www.alagangsupermom.com.ph. Register to join the contest. Upload your photo sharing a special moment with your child or family. Invite your friends to vote for your entry. Uploading period is from February 20, 2010 to April 20, 2010. The top 50 finalists will be posted for online voting from April 26, 2010, to May 16, 2010. 5. A confirmation message will appear once uploading is finished. 5. Key-in your Bisolvon product batch number and official receipt from proof of purchase to boost your voting power or click on the Submit to cast your vote. · A confirmation message will appear to confirm your vote. · Only votes secured from April 26, 2010 12:00AM to May 16, 2010 11:59PM will be counted. Bisolvon knows the important role of mothers in taking care of the whole family. 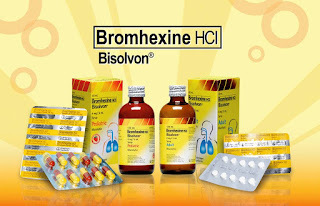 For over 40 years now, Bisolvon has become every supermom's partner in stopping cough at its source. Today, it is available in more than 100 countries worldwide. Bisolvon® from their own childhood, countless mothers worldwide trust it to provide effective and reliable treatment whenever cough troubles the family. Dahil sa Alagang Bisolvon, solve and ubo!